Mother's Day is still a little over a month away, but I already have it on my mind. Even before I became a mama myself, I loved this holiday. My mom and I are incredibly close, and any day to celebrate her is alright by me. I like to take my time to plan something special for her - from my gift to fun plans where we can do something she loves. And of course, now that I'm a mom, Mother's Day is even more significant in my life. This will be my third with little ones (and my first as a mom to two), and I'm so looking forward to a weekend of relaxation where I get to spend quality time with my family. I genuinely enjoy nothing more than that. In my quest to find unique Mother's Day gifts for this year, I was introduced to a jewelry line called Chamilia. Part of the Swarovski group (the brand follows strict Swarovski Group guidelines for quality and aesthetic standards! ), they feature interchangeable jewelry that includes charms, beads, bracelets, necklaces, earrings and locks, all meant to inspire creativity. 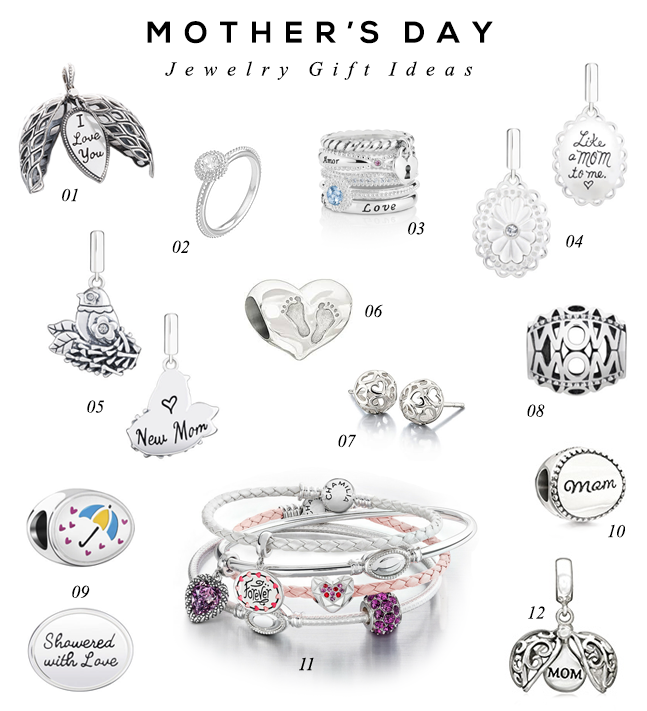 Obviously, I love that, so I was pretty excited to see that they recently released a collection of new charms just for Mother's Day 2016. The collection is made from sterling silver or 14 karat gold and features genuine Swarovski Crystals and Swarovski Zirconia, and is so, so cute. I decided to share some pieces from Chamilia, as seen above, that I think would make especially wonderful gifts for the mamas in your life. You can give the charms and/or beads as is, or start with a blank bracelet, necklace, or earrings and use the charms to design your own. I think my favorite pieces is #1, the new Origins Open Work Locket (also shown in image below). I love the open work leaf pattern and how it was crafted to look like an heirloom seed pod. 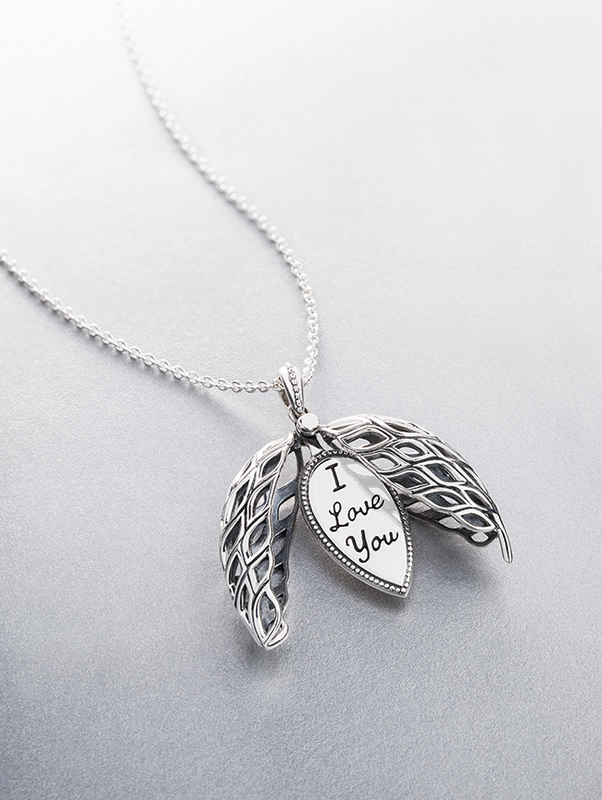 It opens at the top to reveal an engraved sterling silver millegrain-lined plate, with matching front and back hand-lettered message that says "I Love You." Seriously though, how sweet is that? This post is in collaboration with Chamilia. Thank you for supporting the brands that help make Bubby and Bean possible. Oh man, I am NOT ready to be thinking about Mother's Day already! I can barely believe Easter is on Sunday. What's happening to 2016? So pretty! I love the I love you locker!